I am using v 10.6.6 and I have threaded conversations in my Mail …………. ?? 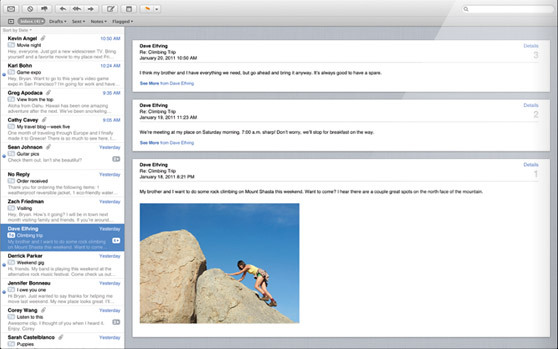 Can Apple Mail v5 support multiple Exchange accounts? Mail 5.0 does not seem to support insertion of hyperlinks in the body of messages. Any hints? The Macmail 5 does not allow saving more thaqn one attachment at the same time. Is there a set up for saving all the attachments? Select all then right click to save the attachments.